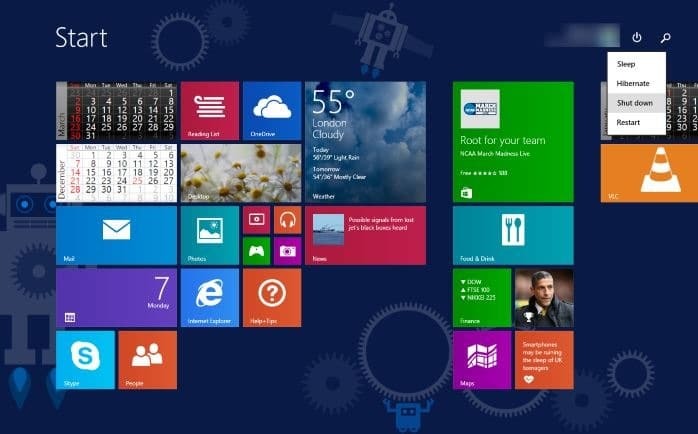 In the first week of April, at its annual developer conference, BUILD, Microsoft officially announced the wildly leaked Windows 8.1 Update, a free update for Windows 8.1 to make it more keyboard and mouse friendly. During the event, the Windows 8.1 Update was made available to MSDN and TechNet subscribers. Though Windows 8.1 Update was officially available to only MSDN and TechNet subscribers for a week, it was possible to upgrade to Windows 8.1 Update from Windows 8.1 (without MSDN/TechNet) using the instructions mentioned in our how to install Windows 8.1 Update right now guide. For those who’re eagerly waiting for the official release of the Update, Windows 8.1 Update is now officially available to download. Though it’s not available via Windows Update yet, PC users running Windows 8.1 can now manually download the update and install the same. As you likely know by now, this Update to Windows 8.1 brings a couple of changes and improvements to Windows 8.1. Ability to run Windows Store apps in desktop, ability to access taskbar and title bar from installed from the Store, power button and search button on the Start screen, and performance improvements are some of the highlights of this update. While Microsoft has announced that the good old Start menu will be re-introduced, this Update doesn’t add Start menu to your Windows 8.1. Another noteworthy thing is that, this newly released Update is a mandatory update, meaning that you must have installed this update in order to get security updates in future. In other words, if for some reason, you have plans to skip this update or uninstall Windows 8.1 Update, future security updates will not be installed.